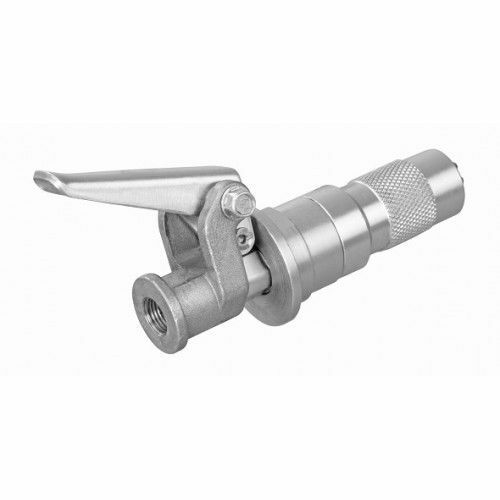 For use with all types of greasing equipment, including hand, air, and battery opperated. Heat-treated, spring steel, 3 jaw design improves alignment and handles high-pressure applications. Allows for hands-free and leak-proof operation. Protects grease fitting from breakage. 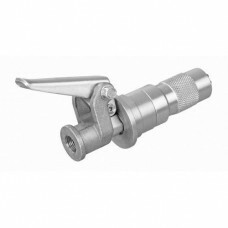 Easy to connect or disconnect from grease fitting using thumb lever, even under pressure.